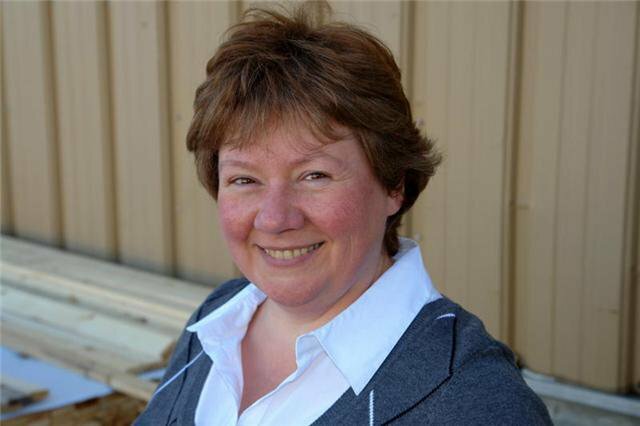 Paula was born in the Fredericton area and has lived in the Oromocto/Burton area for over 30 years. After 22 years in the financial industry, she decided to make a career change and follow her heart. She came to work at Douglas Animal Hospital in August 2010, starting as part time and became a full time employee in 2011. She has a Dachshund named Heidi at home. During her spare time, Paula spends time on her country property. She enjoys many outdoor sports such as canoeing, kayaking, camping, and four-wheeling, and taking long drives on her Harley. She has also taken up snowshoeing with her dog during the winter months. Courtney was born and raised in Fredericton. 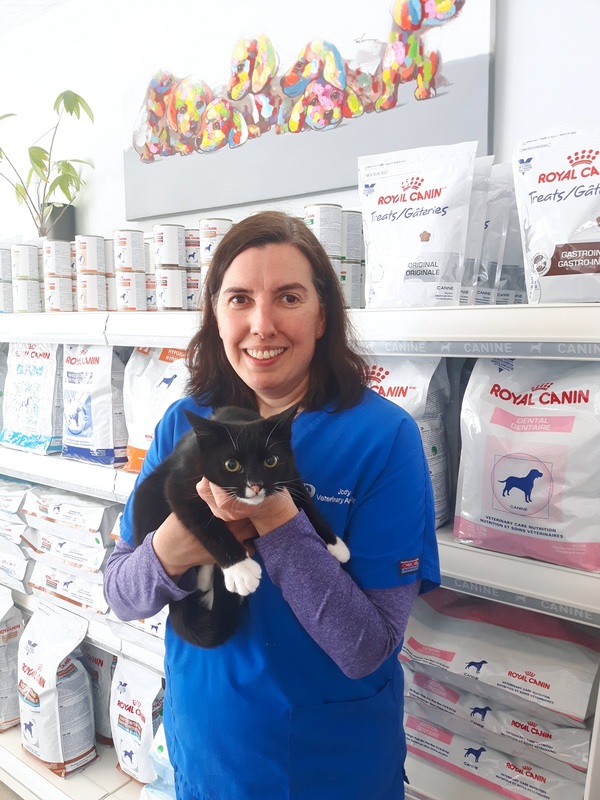 She earned her degree in Veterinary Technology from the Nova Scotia Agricultural College and wrote the National Exam to become a Registered Veterinary Technician in 2009. She has worked at Douglas Animal Hospital ever since. She enjoys living in the country with her husband Tommy and her busy baby boy Owen. Her pets include her very well loved Pitbull mix Zinc, a cat named Kittin, and her flock of birds including an Amazon parrot, cockatiels, budgies and a canary. Courtney is an outdoor enthusiast and you can always find her hiking, snowshoeing, or exploring with her dog and son in tow. As you can imagine Courtney is kept very busy being a new mother, working full time, and caring for her pets. In her limited free time she also loves reading, camping and sketching pet portraits. 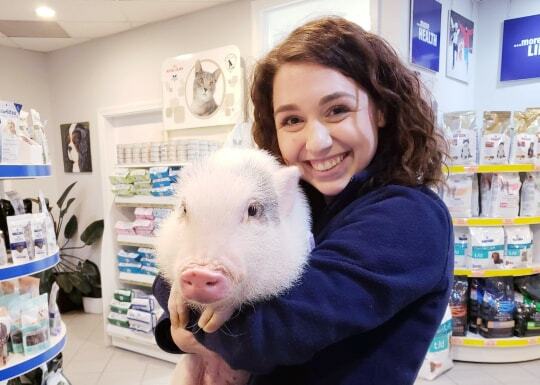 Amanda was raised outside of Sussex where she graduated from high school and went on to pre-vet studies at the Nova Scotia Agricultural College. 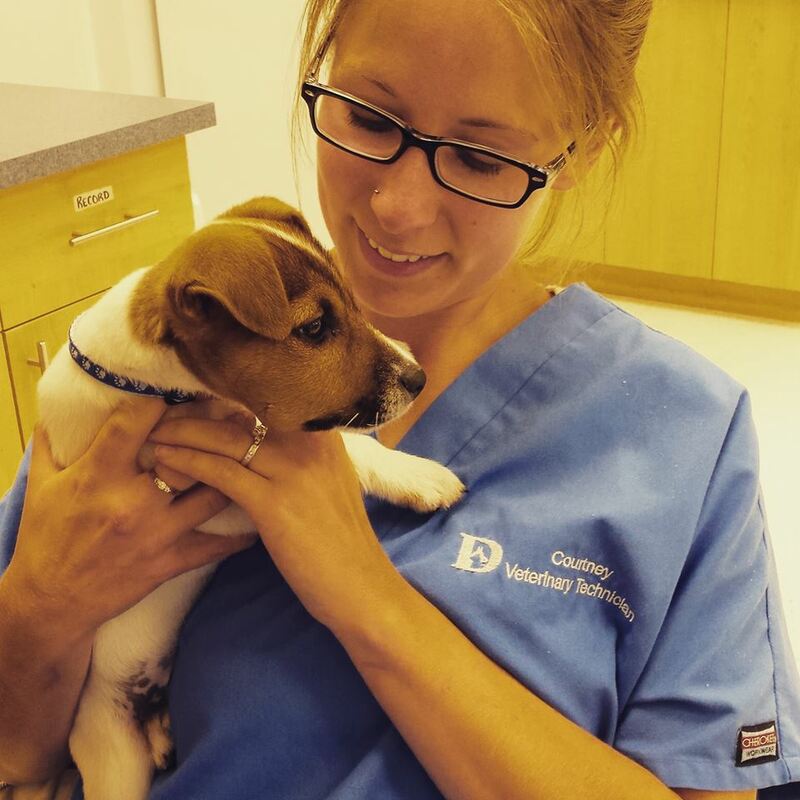 She later earned her degree in Veterinary Technology from Oulton College and wrote her National Exam to become a Registered Veterinary Technician. She has built a family with her husband Ryan, which includes the love of her life, Ranger the Rottweiler mix, two orange tabby cats named Leonard and Penny, two bunnies Phillip and Gary and two horses Savannah and Hack. She spends her free time outdoors skiing, snowshoeing, camping, hiking, riding her horses and enjoying local microbrews. Kelsey has lived in the Fredericton area for most of her life and shares her home with her husband Justin and their three dogs Drover, Harvey and Jackson. 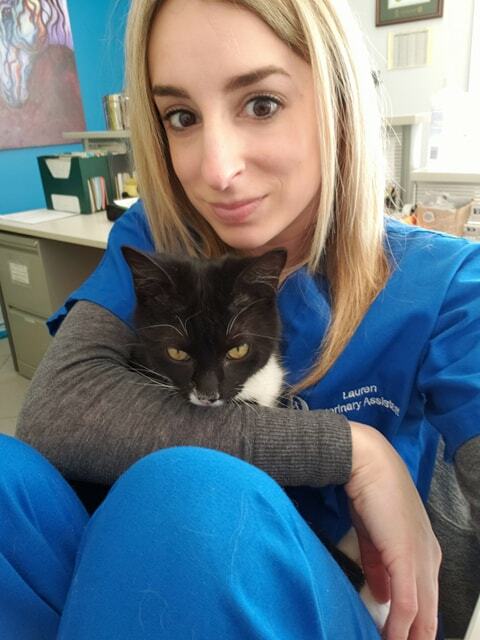 Kelsey completed a BA at St. Francis Xavier University in 2010, then worked at DAH as a veterinary assistant for 6 years before completing her Veterinary Technician Degree. She especially enjoys assisting with surgery and managing our social media and website. Kelsey plays bagpipes with the Fredericton society of St. Andrew Pipe Band and enjoys baking and trips to the cottage with her family and the dogs in her spare time. She also volunteers her time at CARMA spay and neuter clinics when her schedule permits. Riley was born and raised in Fredericton and graduated from Leo Hayes High School in 2014. After deciding that a bachelor degree was not the path for her she was accepted into the Veterinary Technician program at Oulton College. She graduated in 2018 and when she completed her on the job training her at DAH we liked her so much that we asked her to join the team! Later on that year she wrote the National Exam to become a Registered Veterinary Technician. Riley shares her home with Gibson, the family Labradoodle and her four cats Hank, Charlie, Thomas and Ruby. She spends her spare time traveling, watching movies, skiing, baking and enjoying the company of her friends and family. 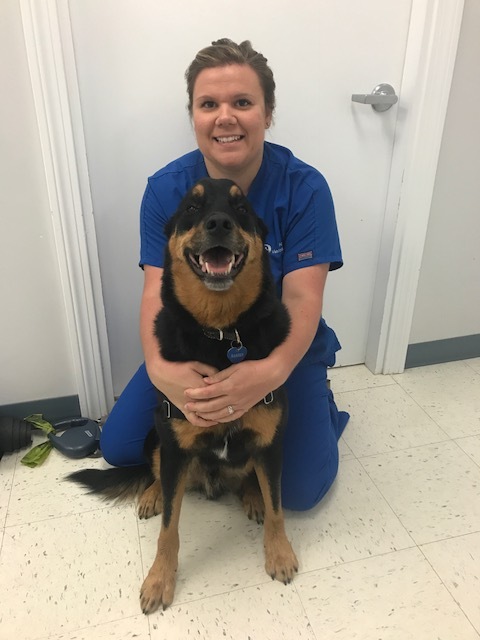 Duncan was born in Fredericton where he received his Veterinary Assistant diploma in 2006. We were lucky enough to recruit Duncan in the fall of that year and his love of animals is obvious in the care he puts in to his work. 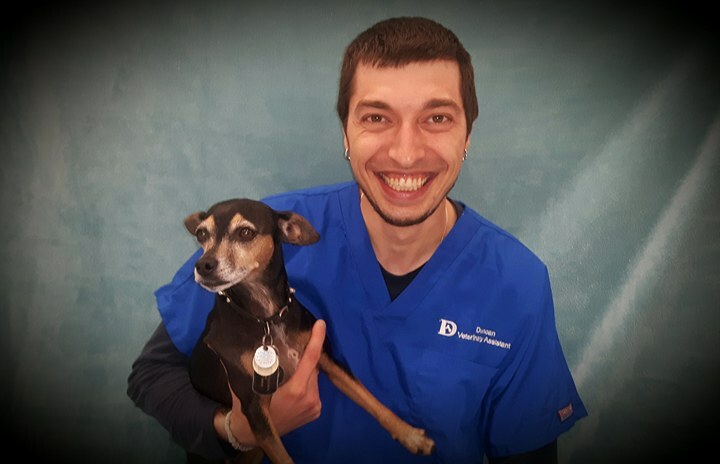 In his spare time Duncan enjoys listening to and playing music, watching movies, road trips, boxing, spending time with family and friends and being out in nature with his energetic dog Ember, a Chihuahua Jack Russell Terrier cross. Julie was born and raised in Fredericton. 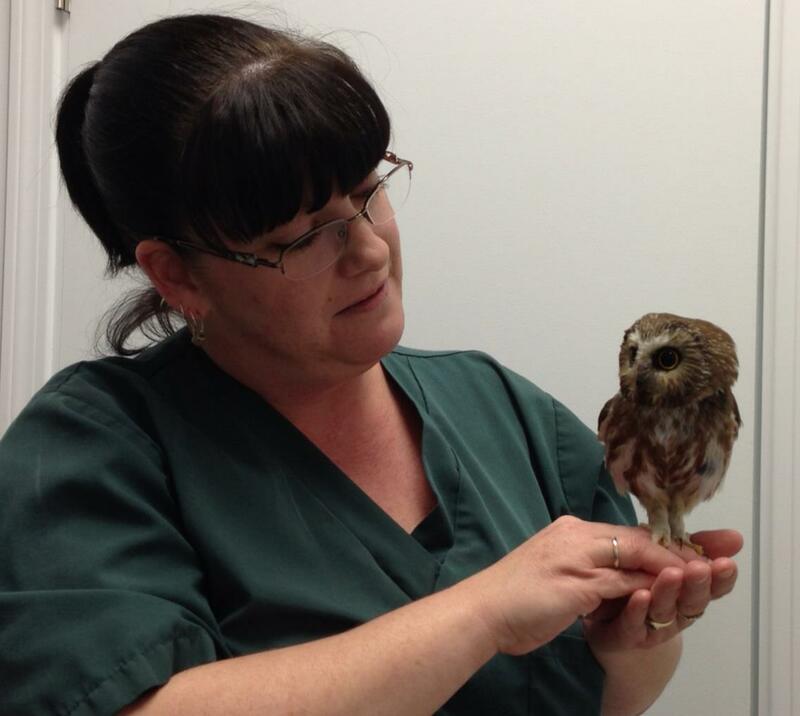 After college she travelled from Newfoundland to British Columbia working in different animal hospitals along the way. In her spare time Julie enjoys riding horses, kayaking, fishing and camping. She also loves spending time with her family and friends. Jody has lived in Fredericton for most of her life and now lives just outside the city with her husband and two little girls. She has had a lifelong love of animals and shares her home with Fawnzee the Boxer, Nimbo the Maltese and her two cats Diego and Sunshine. Jody has always had a special fondness for the local SPCA and all of her animals were adopted from the organization. Jody began working at Douglas Animal Hospital in 1987, before Dr. Goodine bought the practice. She worked part time while completing her BA at St. Thomas University and continued as a full time employee afterward. 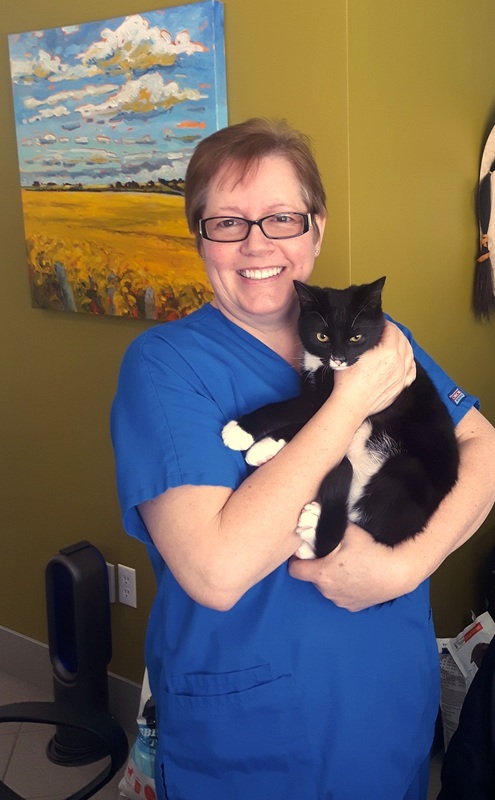 Jody has come to know the clients of Douglas Animal Hospital very well of the years as she assists with pets in all areas of the hospital. In her spare time Jody volunteers at special events for the SPCA an fosters the occasional litter of kittens. She also enjoys spending time with her family and friends and managing her pet sitting business. Lauren was born in Moncton, New Brunswick, but has lived in Fredericton for most of her life. 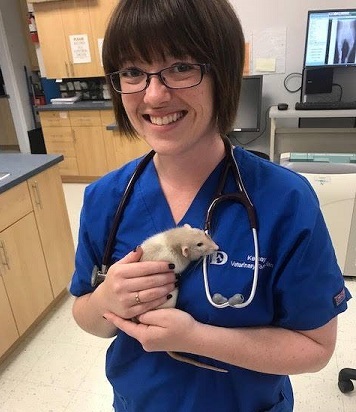 She completed a BA at St. Thomas University before graduating with honours from the Veterinary Assistant program at Eastern College in 2018. She and her husband Mike share their home with four cats Bronx, Luna, Lewis and Twyla, and a ball python named Xerxes. Lauren enjoys spending time with her family and friends, as well as volunteering with the Oromocto SPCA and CARMA in her spare time. Laurie grew up in Burtt’s Corner and now lives in Keswick with her two children (MiKayla and Ethan), two dogs and two cats. After several years of working with a local veterinary clinic, she decided to stay home with her children. Realizing she needed adult contact again, she came to work with us in March 2008 – first on a part time basis for six months, then becoming a full time employee. She is more than capable to assist in almost all areas of the hospital, but is primarily the pleasant voice you hear when you call us. In the winter you can find Laurie at a rink watching her young son play hockey. In the summer, she loves to camp, fish, and just enjoy the outdoors. A relaxing evening is usually spent watching a movie while working on some knitting project, reading a book, or sitting in front of a computer being a Facebook junkie! Heather joined our team in September of 2014, coming from many years in the housing industry. Looking for a career change and, as a people person she was excited to be able to integrate her love of animals with her office skills. 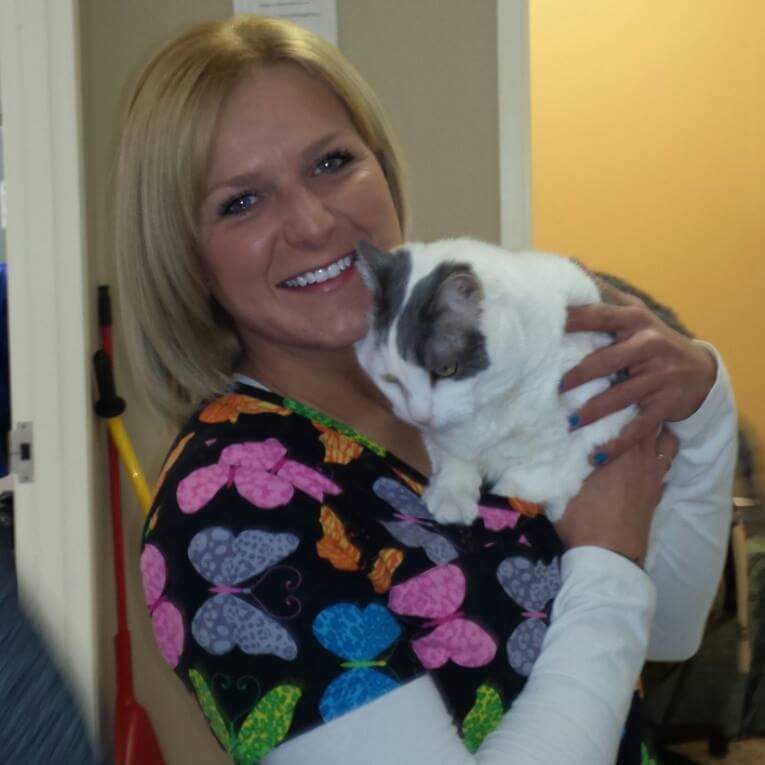 She now enjoys meeting clients and their pets as they come in for appointments. Heather truly believes animals deserve the best possible care and kindness from those of us fortunate enough to have them as a part of our families. Heather lives in Douglas with her husband Brian and their two cats PJ and Daisy. She spends her spare time enjoying the outdoors on her ATV and visiting her children and grandchildren in Alberta.